Are you wondering who actually receives those inquiry e-mails you’re sending? What face belongs to that friendly voice on the phone? 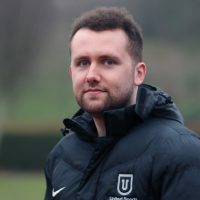 Former NCAA D1 athlete Fraser Gibson founded United Sports USA in 2009. Since then, with the help of his dedicated team members, he has placed hundreds of young boys and girls at universities and colleges in the United States as student-athletes. All of United Sports USA’s sports consultants have been on sports scholarships in America. Hence they know exactly how to help at any stage of the process. They can personally relate to any doubts and specific questions you might have. Below you can see our staff. Check what they are up to! As a freshman Tianna was a walk-on because of a hip injury. After surgery she ended up becoming a scholarship athlete. Arjun was a top scorer while playing for PDL team West Virginia Chaos. 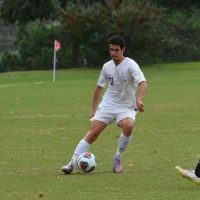 Diego was awarded All-American three years in a row. Having experience playing and coaching in the US Brian's role is to identify players who can succeed in American collegiate system. Ross role within the company is to identify players who have potential to play American college soccer. As Head Soccer Consultant Andrew brings much playing and coaching experience to our clients. 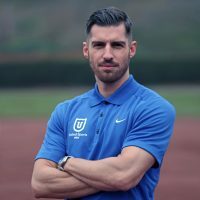 A former student-athlete and graduate of Northern Illinois University, Fraser founded United Sports USA in 2009 with the view of allowing young athletes the chance to experience the great environment that American University Athletics has to offer. 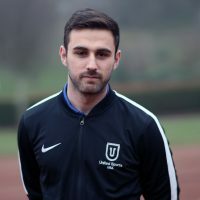 Whilst playing for Glasgow Rangers FC Fraser was given the opportunity to continue his football career and academic study at NCAA Division 1 Men’s Soccer Program NIU. Knowing the importance of having a university education and the relative uncertainty that comes with professional sport, Fraser jumped at the opportunity. As Managing Director, Fraser is responsible for every aspect within United Sports USA. Backed by a strong team of former collegiate athletes he is able to create the strategy for evaluation, implementation and placement of clients. As a former NCAA Division 1 athlete Fraser is well respected and trusted by college coaches at all levels. Lina has graduated from University of Glasgow with Digital Media and Information Studies degree. She is in charge of our video department and makes sure that everyone has the best highlight reel accessible at all times. 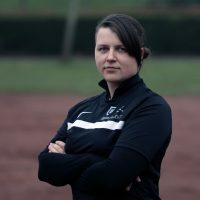 She also produces full game footage for showcase and other selected matches. Angus played various sports competitively since young age including football, rugby and snow sports. He has captained his high school rugby team at regional tournaments and he's also a qualified rugby referee. Angus played football with Edinburgh City and Spartans until age 15. He has an interest in the statistics behind football and rugby and hopes to use his degree to further this. Currently Angus is studying Economics at University of Glasgow and will graduate this summer. Gabi is our Head of Administration and deals with the day to day running of the office, client files, assessment days and website content as well as any issues regarding my.unitedsportsusa.com. She also helps with the promotion researching universities and colleges, and academic and sports programs they are offering. Gabi is an expert in NCAA and NAIA eligibility rules and can help you with governing bodies, U.S. Visa, university applications, etc. To engage her creative side she likes to snap photos during the games, design a new brochure or put together a new "step-by-step" guide. 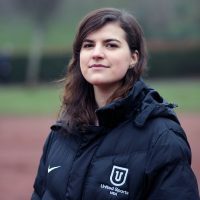 Gabi was a member of the Glasgow University Fencing Club, also she is a passionate snowboarder. 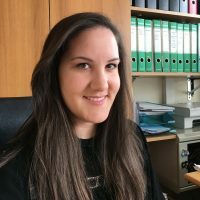 Nika Rajčič is a student recruitment agent at Nista Language Centre in Koper, Slovenia. Nista Language Centre is a language school, language travel agency and a study abroad recruitment agency, founded in 1991. 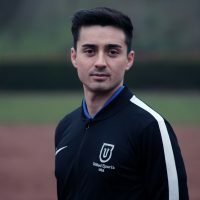 Nista has been working with United Sports USA since 2016. Born in Peterborough, England, Logan played youth Football in America for several clubs including the Olympic Development Program. In March 2010, he committed to NCAA Division Two school, Belmont Abbey, in Charlotte, North Carolina. In July 2011, Logan transferred to Francis Marion University and competed in the Peach Belt Conference in NCAA Division Two. 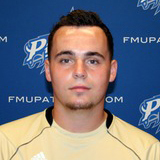 He went on to be ranked 38th in the nation in saves per game in 2012 before injuries hampered his senior year at FMU. Post graduation, Logan has coached at the Division One level as the Goalkeeper coach for The Citadel in Charleston, South Carolina. Tianna, originally born in New York moved to Florida at a young age and was raised in Orlando, Florida. Growing up playing multiple sports such as soccer, gymnastics, flag football, and dance. Eventually she found her passion in track and field. Tianna was a late starter in track, only choosing to pursue it in her junior year of high school. 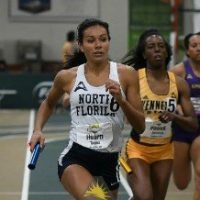 Even with the limited time she solely concentrated on track she was able to get a roster spot for The University of North Florida. At the University, she holds the 60h and 400h school record. Also running the 100h and the first leg of the 4by4. Tianna, having competed in many different events in college, has great knowledge of track & field, and she knows what it takes to be successful at the Division 1 level. Academically, Tianna graduated with a Major in Sports Management and Minor in Business. Maintaining above a 3.0 GPA throughout college she was awarded All-Academic Student Athlete all four years. In addition to track and field, Tianna likes to cook and travel. Arjun grew up playing for Brentford FC throughout his youth and captained the side in his final years. He had a short stint at Tottenham FC, but was denied a professional contract and so looked for alternative opportunities. This included the ambition to play abroad, and with the help of United Sports USA, soon became a reality. Arjun committed to Division 2 college, Northwood University in Michigan, where he studied and played for a year, before transferring to Division 1 college, Gardner-Webb University, captaining the side in his senior year. 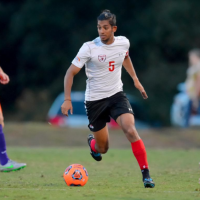 In his last year, Arjun played in the Premier Development League (PDL) with West Virginia Chaos, finishing the season as top scorer and with the most assists. He currently plays for semi-professional side, Redditch United FC, who participate in the EVO-STIK Southern Premier League. Having had experience in both playing and coaching at a high level, his role in the company is to identify players who have potential to play American college soccer. Diego has started his career playing at the youth academy with RC Celta de Vigo until the U-19 level and couple of years with Alondras CF, a team of the 3rd division in Spain. In March 2014, Diego has committed to Concordia University Texas at Austin where has studied Business Management Administration. He achieved All-American awards three years in a row and he is the top scorer and assistant in the history of the program. Diego has coached in Spain for two years and also in Summer Camps for RC Celta de Vigo. Now Diego scouts athletes in Spain. Brian grew up playing for Scottish professional youth academies such as Albion Rovers FC, Clyde FC and Airdrie FC before deciding to pursue an American college soccer scholarship. In 2011 he committed to top ranked NAIA side Grand View University in Des Moines, Iowa. During his four years there he won 4 conference championships, 3 conference tournaments and appeared in 4 national tournaments getting to the quarterfinals twice. In 2013 his Grand View side were ranked number 1 in the nation and consistently highly ranked during his time there. In 2014 he was awarded a First Team All-Conference award and NSCAA Midwest All-Region. After graduating he obtained his OPT visa and worked as a soccer coach for Sporting Iowa, an affiliate team of Sporting Kansas City and West Des Moines Soccer Club while also getting his US Soccer licences. Ross grew up playing pro-youth football with Aberdeen, Hamilton Academical and spent three years at Clyde FC where he was captain. In 2010 and 2011, he was capped twice for the Scottish Independent Schools national team where he also captained the squad in his final year of high school. In February 2012, Ross committed to, Division I soccer program Hartwick College through the guidance of United Sports USA. As a student athlete he was awarded with a Mid-American all-conference award in 2013 and won back to back Sunbelt Championships in 2014 and 2015. In his final year, Ross played in the Premier Development League (PDL) with Springfield Synergy FC, Missouri, who recorded their best points tally in franchise history before he returned for his senior college season with Hartwick. Having played four years at the Division I level he has a wealth of playing experience, and so his role within the company is to identify players who have potential to play American college soccer. Andrew was brought up playing in youth academies for professional Scottish soccer clubs Hibernian FC and Clyde FC and also represented the West of Scotland Regional squad at U19s and National Select squad before making the move to America on a college soccer scholarship. In 2005 Andrew committed to play for Southern Nazarene University in Oklahoma City, a top ranked NAIA college where he achieved 4 conference championships, 4 NAIA national tournament appearances including making the final four his freshman year, two times 1st team All-Conference select and two times All-American honours. 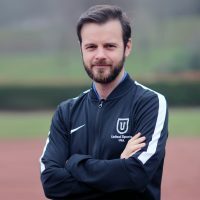 After spending 2 years coaching at NCAA Division 2 Southwestern Oklahoma State University while attaining his master’s degree in Sports Management, Andrew moved to Sacramento, California to coach at a player development academy while playing professional indoor soccer in the MASL. As Head Soccer Consultant Andrew brings much playing and coaching experience to our clients. His role is to oversee the recruitment of players on to the United Sports Soccer Program.